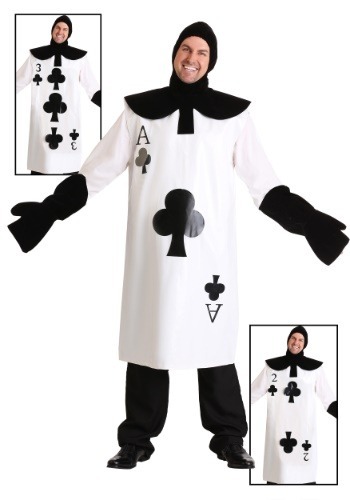 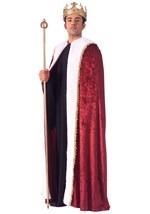 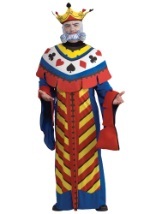 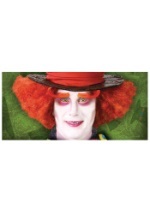 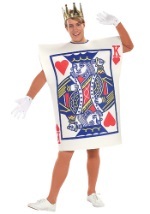 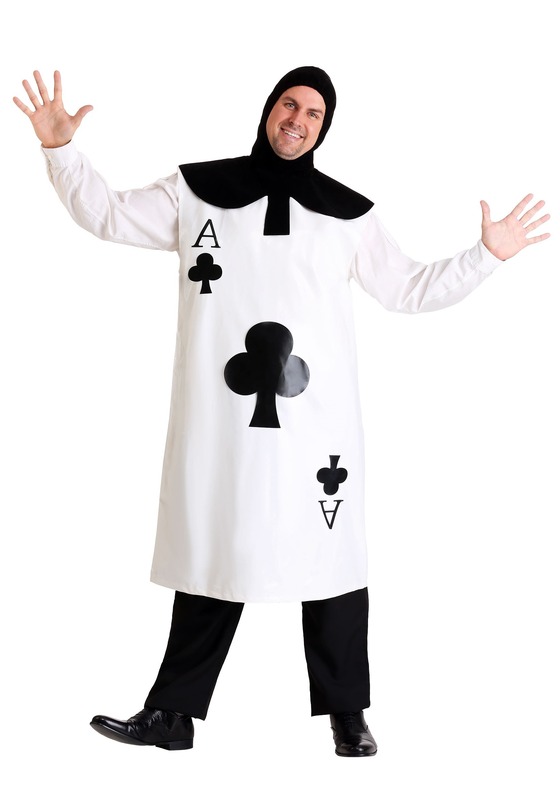 Form a fantastic Alice in Wonderland group Halloween costume with our Wonderland Ace of Clubs costume. 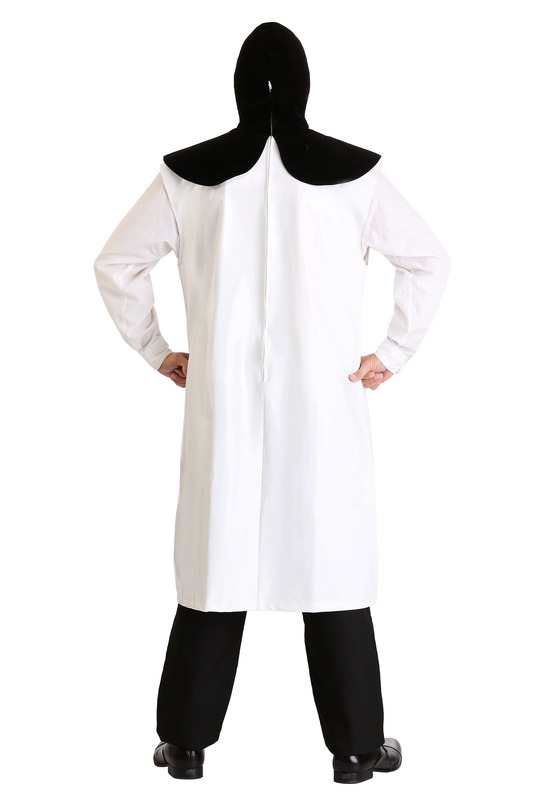 It's a white knee-length tunic of 100% polyurethane faux leather with a black velvet hood. 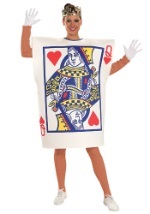 It has a back zipper, and the face opening is edged with elastic. 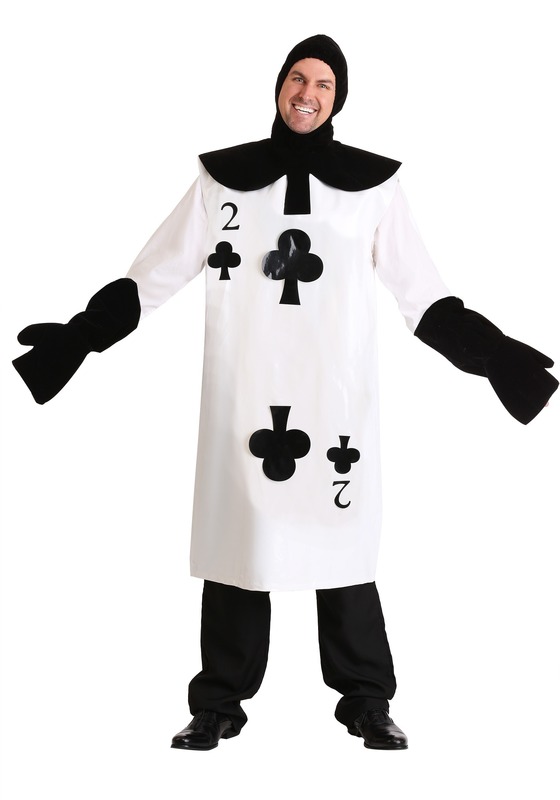 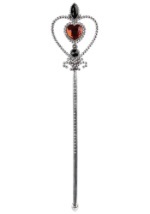 Decals are included so you can choose to be the ace, two or three of clubs. 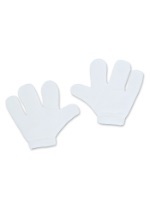 The over-sized black velvet padded gloves have a wrist slit so you can have your fingers free if desired. 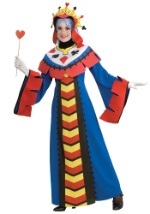 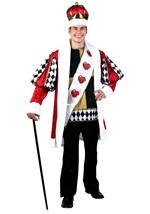 Team up with a Queen of Hearts and King of Hearts for a great group Alice in Wonderland costume!